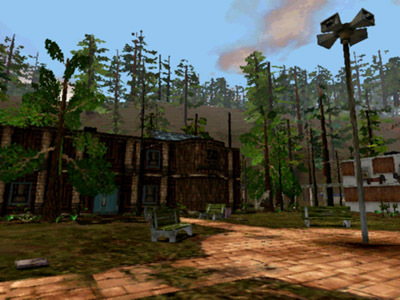 It is possible to move the green Tyrannosaur to the Lab or other locations in the level. It is scripted to stay near the Triceratops, so to move the Tyrannosaur, the Triceratops must be moved. 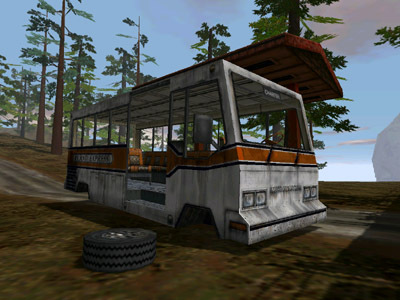 Get an AK-47 from the ‘Emily’ tug and turn on the ‘dinos’ and ‘woo’ cheats. 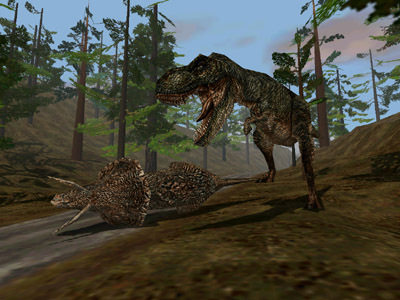 Now head over to the Tyrannosaur and kill the Triceratops. 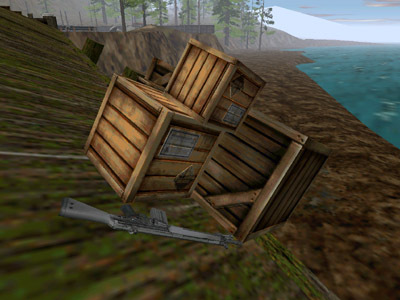 The AK-47 can now be used to move its body to another location. Once it is in place, head back to the Tyrannosaur and turn off the ‘dinos’ cheat – the Tyrannosaur will head straight for the Triceratops’ new location. 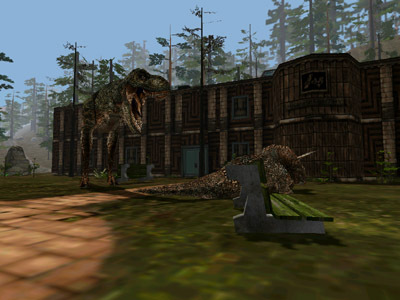 The brown Tyrannosaur is scripted to stay near the warehouses and thus cannot be moved to other locations. 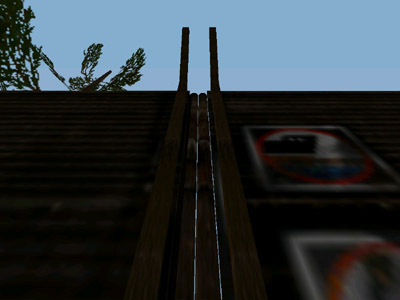 It is possible to enter the harbor without unlocking the gate. 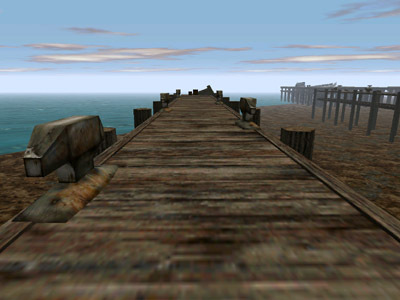 To do so, move between the harbor doors and just walk right through them. 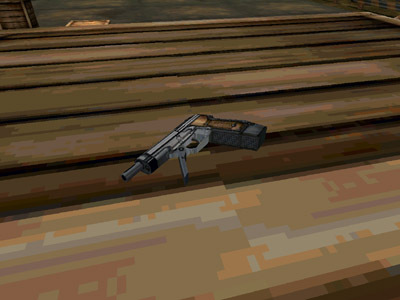 An HK MP5 with silencer can be found behind a bench inside the bus. 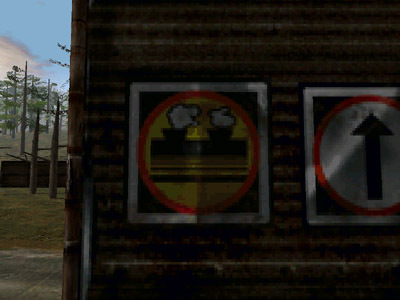 Having entered the harbor, the back of one of the gate doors reveals a sign featuring steam pipes. 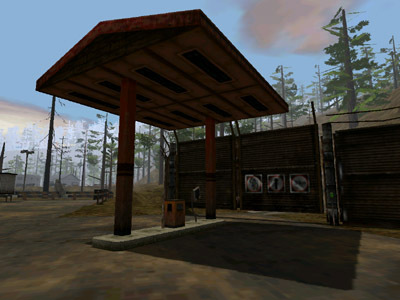 This is a leftover reference to the geothermal plant that would have appeared in the cut Pine Valley level. 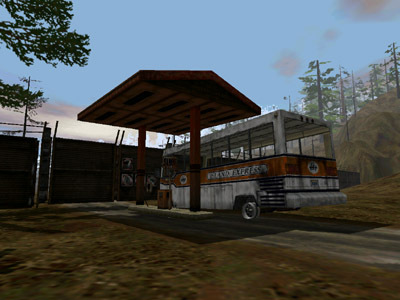 Additionally, it states that the geothermal plant is located a mile back, which is proof that the Pine Valley level was originally placed between the InGen Town and InGen Lab levels. 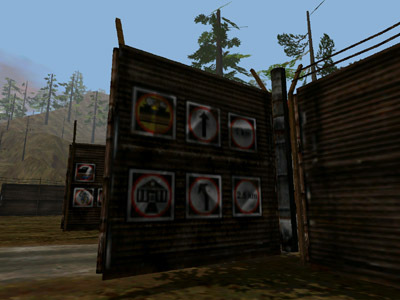 The sign can also be found on the back of the gate leading to the lab complex. 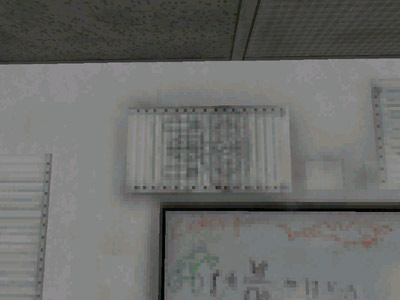 The icon used on the sign is also seen on a whiteboard located in one of the rooms of the dock offices. 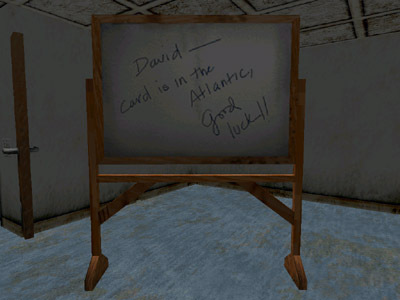 A whiteboard located on the first floor of the Dock offices states that the card is in the Atlantic. This is obviously a play on words, as Isla Sorna is located in the Pacific Ocean. 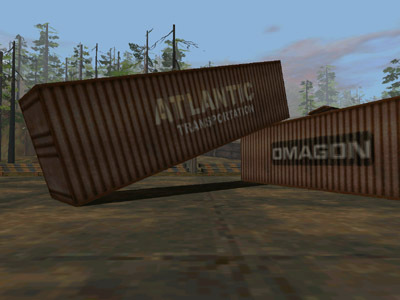 The green keycard is actually hidden in an Atlantic shipping container. It can be assumed that this was done by the German technicians mentioned by Hammond, who were accused to walk out with crucial research material. 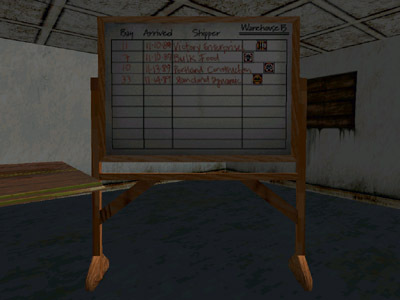 A second green keycard can be found on top of some large crates in Warehouse B. 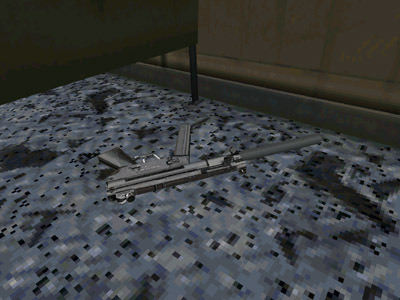 It is accompanied by a toxic variant of the Lindstradt tranquillizer rifle, though it is missing most of its scripting and will not work properly. 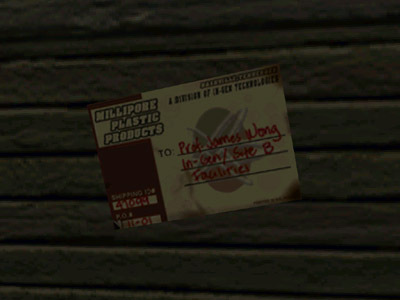 Several crates located throughout the InGen Lab level read ‘Millipore Plastic Products’, a reference to a plastic manufacturer mentioned in the Jurassic Park novel. The company was purchased by InGen when they learned that Millipore was capable of manufacturing plastics that could be used for artificial eggs. 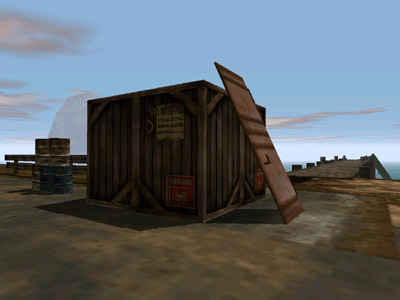 A crate found outside the playing area is addressed to a professor James Wong, a reference to a Trespasser team member credited for additional artwork. 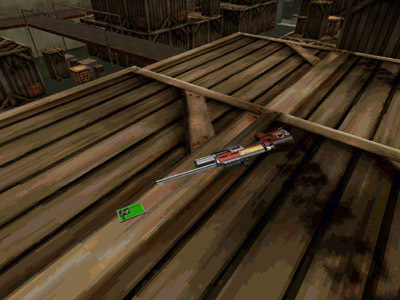 An HK MP5 with silencer can be found among the large crates inside the harbor master’s shack. 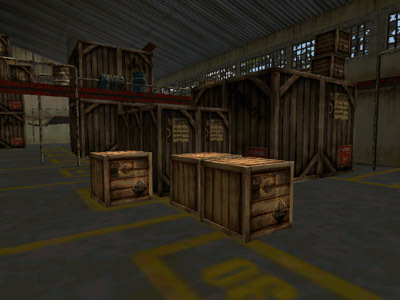 A Beretta 93R can be found behind on top of these large crates. 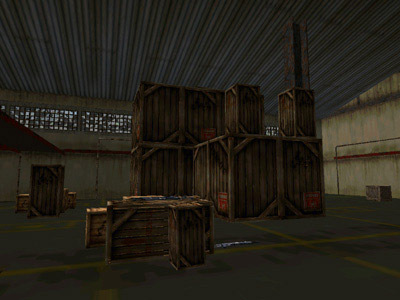 Use the container door to climb the crates. 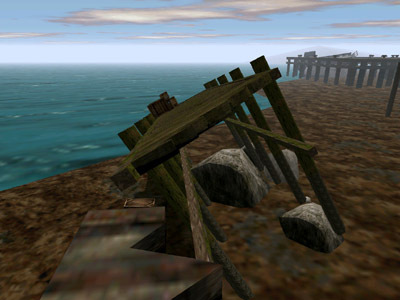 At the broken pier, the trigger for a Hammond voiceover concerning the evacuation is placed too high. 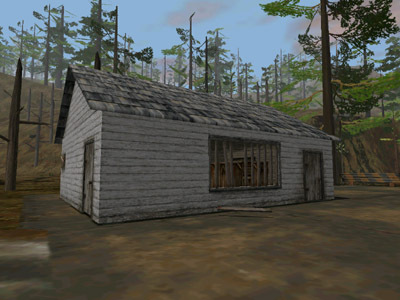 To play the voiceover, teleport to the coordinates – though make sure Anne is at full health. She will barely survive the fall and will need some time to regenerate health. 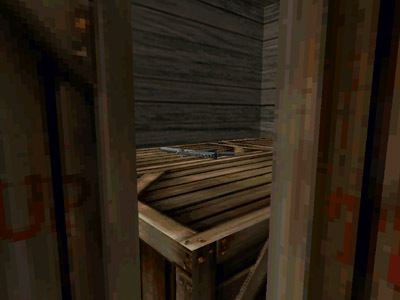 An HK91 can be found behind some crates on the broken pier. 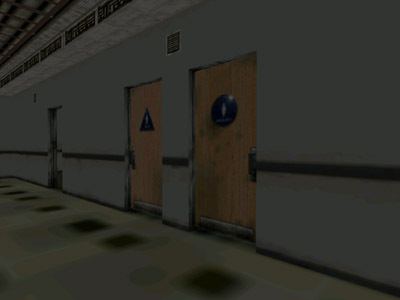 It is possible to pass the gate leading to the lab complex without unlocking it with one of the green keycards. To do so, place Anne against and between the end of the fence and the hill. 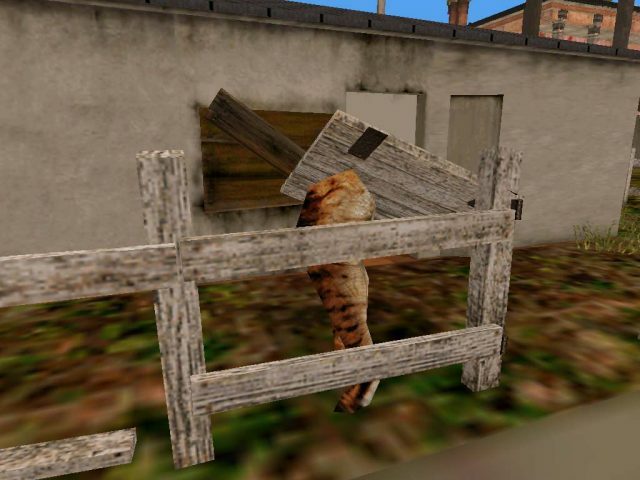 Now press the jump button once and keep pressing forward to make Anne squeeze past the fence. 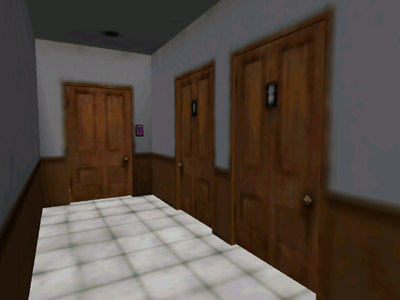 The restrooms in the lab building were modelled after the restrooms that were at DreamWorks Interactive, now Electronic Arts. 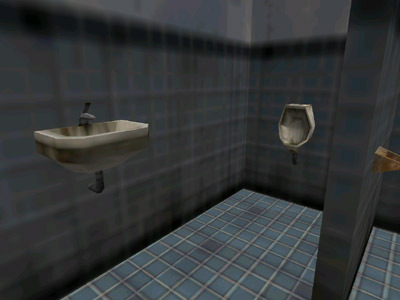 At the urinal in the Administrations building, Anne sarcasticly states visiting the men’s room is not really as interesting as she had imagined. The doors to the conference room in the Adminstrations building are blocked. 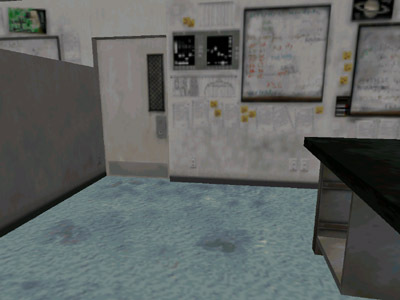 To acces the room, enter the lab and exit from the window in the room with the Raptor nests. 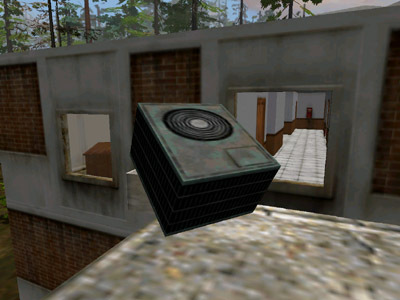 On the walkway, use the air conditioning box to climb the roof. 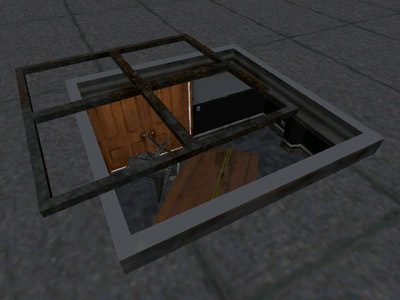 Now remove the skylight hatch and drop down through the opening. 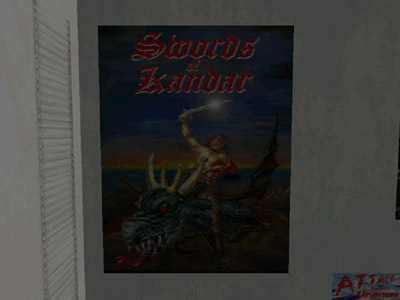 Many of the fictional movie posters in Nedry’s office feature the word ‘Kandar’. 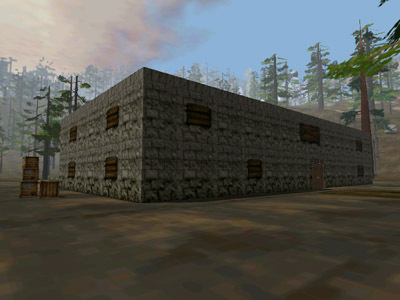 Entering ‘Kandar’ into the computer building keypad is the ‘backdoor’ Hammond suspected Nedry had left himself. 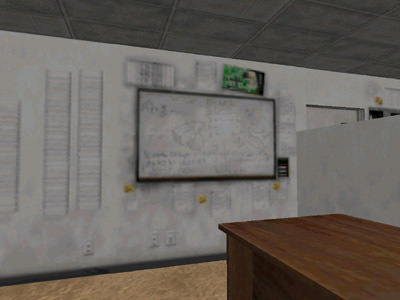 Incidentally, entering ‘Kandar’ equals entering the numeric code 526327 found on the desk pad in Hammond’s office. 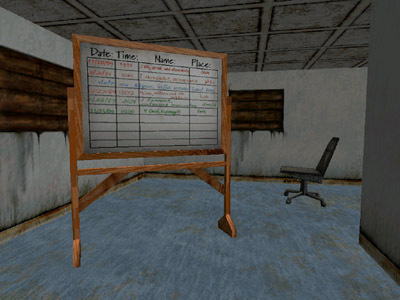 It is possible developers feared the code would be too difficult to figure out and ultimately added the desk pad with the code. The room across from Nedry’s office has a picture of both Star Wars and Star Trek. The Star Wars picture features Luke Skywalker in Stormtrooper outfit, Han Solo, and Chewbacca. The Star Trek picture features a Klingon Battle Cruiser, viewed from the front, as seen in ‘Star Trek: The Motion Picture’ and ‘Star Trek II: The Wrath of Khan’. Two other rooms contain another Strek Trek picture featuring the Enterprise-D, seen from the top, as seen in ‘Star Trek: The Next Generation’. 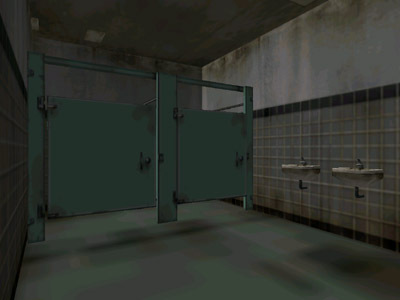 On the right of the doors leading to the Cray Vault, a panel is covering up an electric panel – a leftover from a puzzle developers had planned to implement in the game. 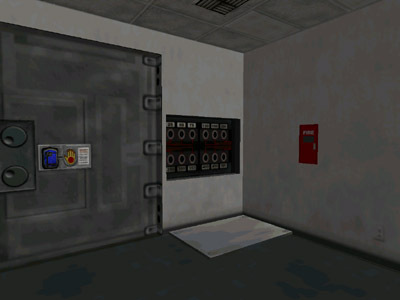 In this puzzle, Anne would have had to remove the panel and use some capacitors with the electric panel to unlock the Cray Vault. 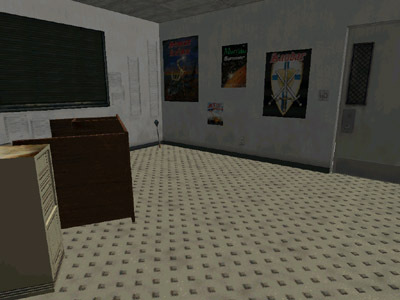 At some point the unfinished puzzle was removed from the game. 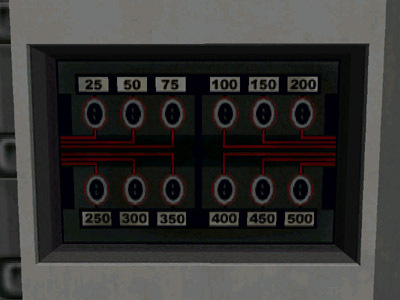 The electric panel still exists in the game, though it has no scripting and is covered up by a panel which cannot be removed. 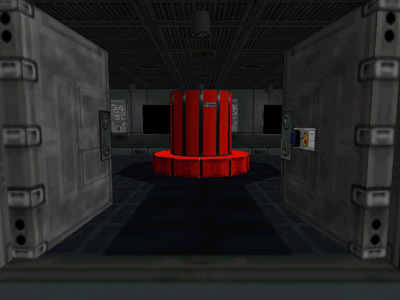 The capacitors planned for the puzzle can be found in the TestScene level. 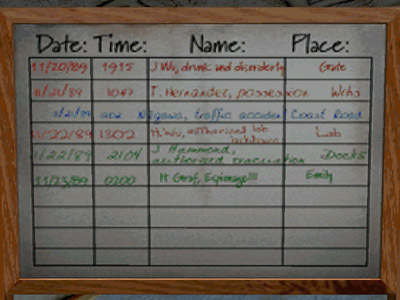 When booting up the Cray computer, the screens reveal the date Trespasser takes place on to be Friday, May 1st, 1998. 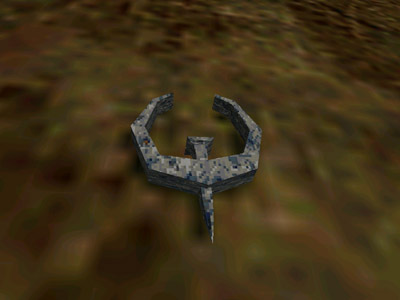 Outside the playing area, a replica of the ‘Quake’ logo can be found floating in the sky. 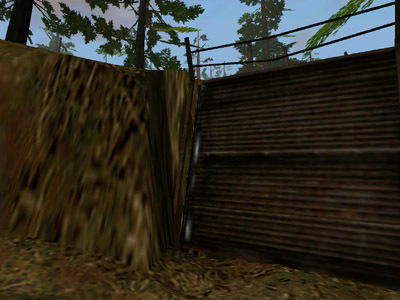 Teleport to the coordinates and use a weapon to bring it down. 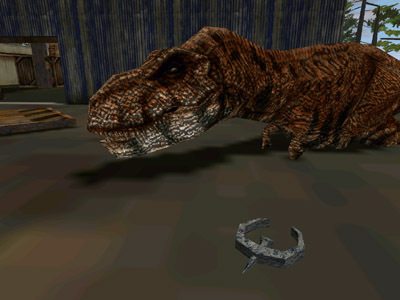 If it is brought back into the playing area, it can be used as a powerful melee weapon due to the incredible amount of damage it does – even a Tyrannosaurus Rex can be brought down with only a few swings.